* New OLED display, real-time display of air quality and temperature. * The standard mode of purification capacity up to 330 cubic meters per hour, the purification area can be up to 23.1 – 39.6 square meters. * Working modes: Automatic mode, sleeping mode, high speed mode, timing mode, etc. 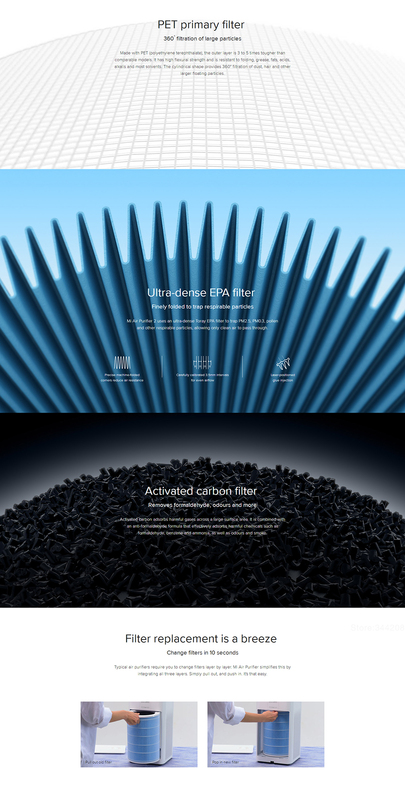 * Three layers of activated carbon HEPA filter, filter removes 99.99 percent of PM2.5 particles, can effective adsorb of formaldehyde, removal of the second hand smoke, dust. 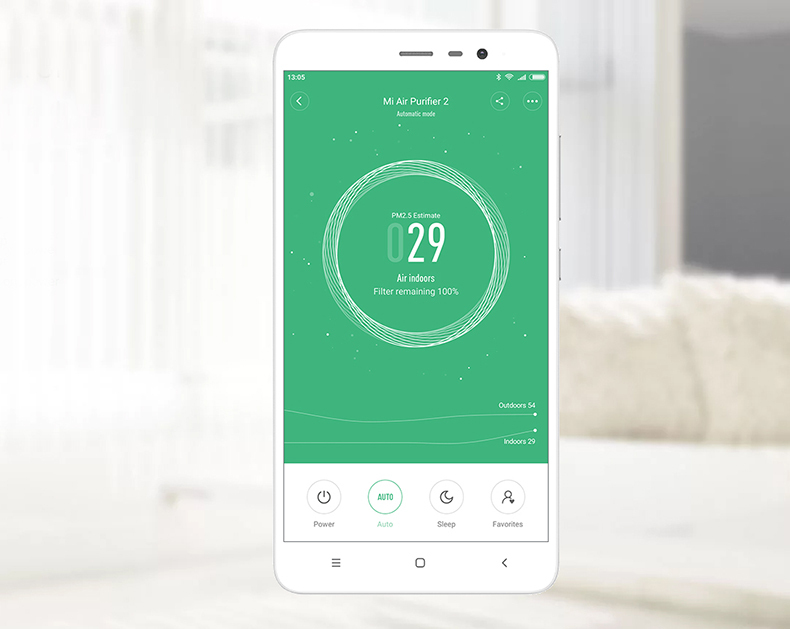 Upgrade OLED screen, more accurate display real-time PM2.5 concentration, temperature and humidity, Wi-Fi connection and working mode, at any time to master indoor air quality changes. 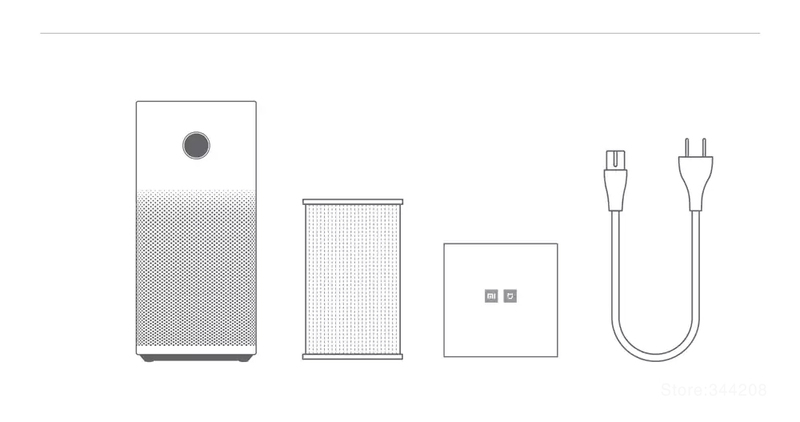 Xiaomi Air purifier 2S light sensor, will automatically perceive the ambient light changes, the screen will adjust the shading. At night, let you not affected by the light source, peace of mind good sleep. 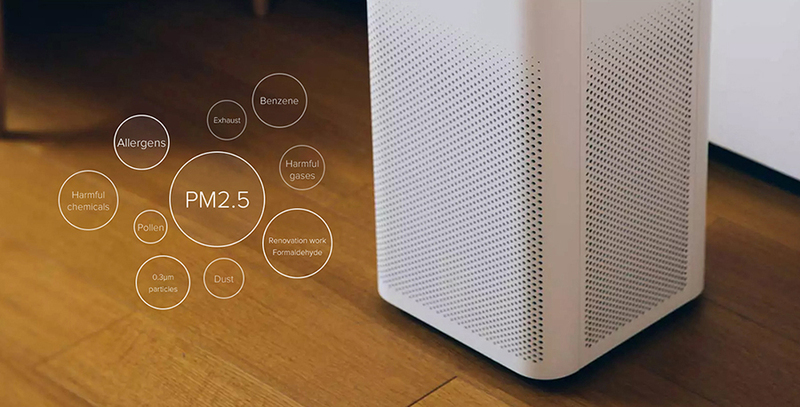 High-precision laser sensor, let Xiaomi air purifier 2S can see small to 0.3μm size of the micro-world, instantaneous accurate reflection of air quality. while an activated coconut carbon filter removes formaldehyde, bad odour & other harmful substances, and also block the pathogenic bacteria. 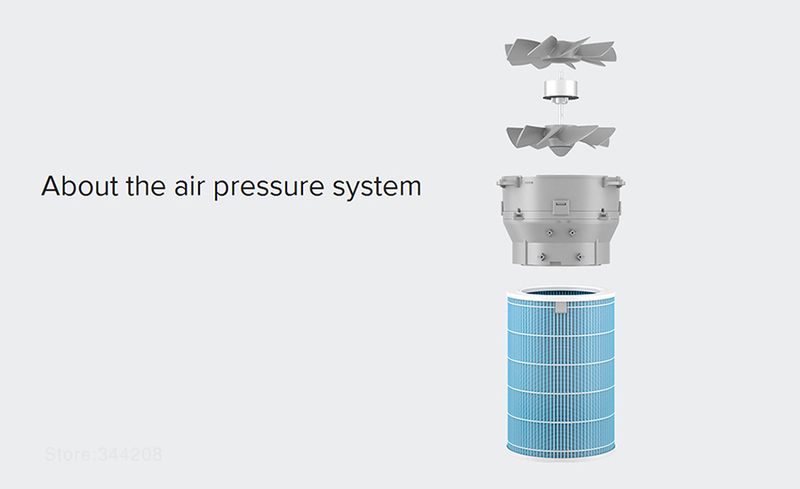 In order to reduce the noise caused by wind resistance, we have carefully designed every wind. 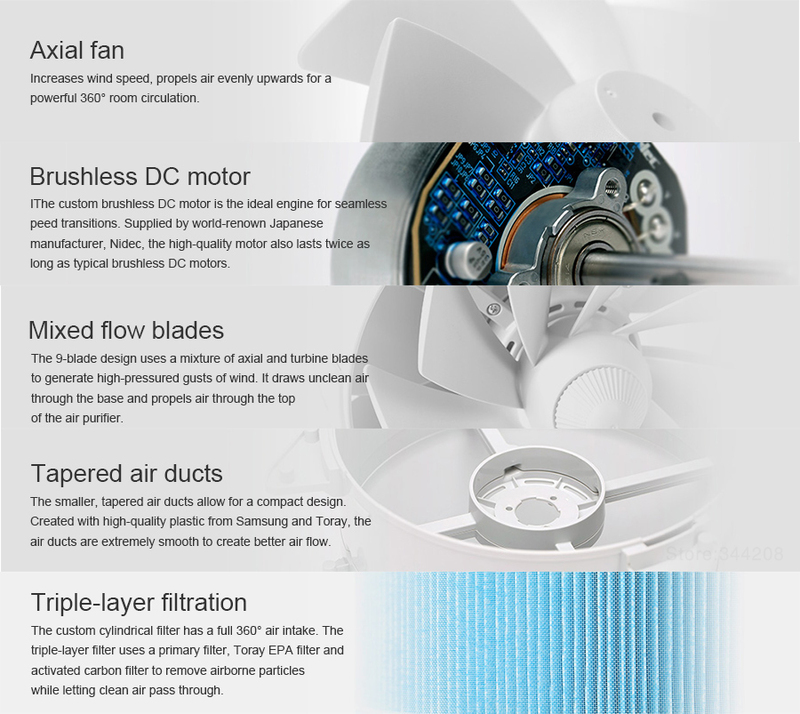 Custom-made Japanese Nidec motor, ordinary working mode only 4.8W, than energy-saving bulbs lower power consumption. “Good night, good dream” is not only a blessing before going to bed, but also when we design purifier for a better life expectation. The use of aerodynamics, the air flow through every detail are carefully designed to ensure smooth wind on the basis of wind to reduce the noise generated. Sleep mode can work quietly, such as the breeze blowing the quiet, almost hard to feel it at work. Customized Japan Nidec motor, power consumption reduced by 58%, the general work mode is only 4.8W, energy-saving light bulb than the low power consumption. You can feel at ease in the clean air, accompanied by subtle uniform wind, sound into the dream. off, switch to Night mode, and more. 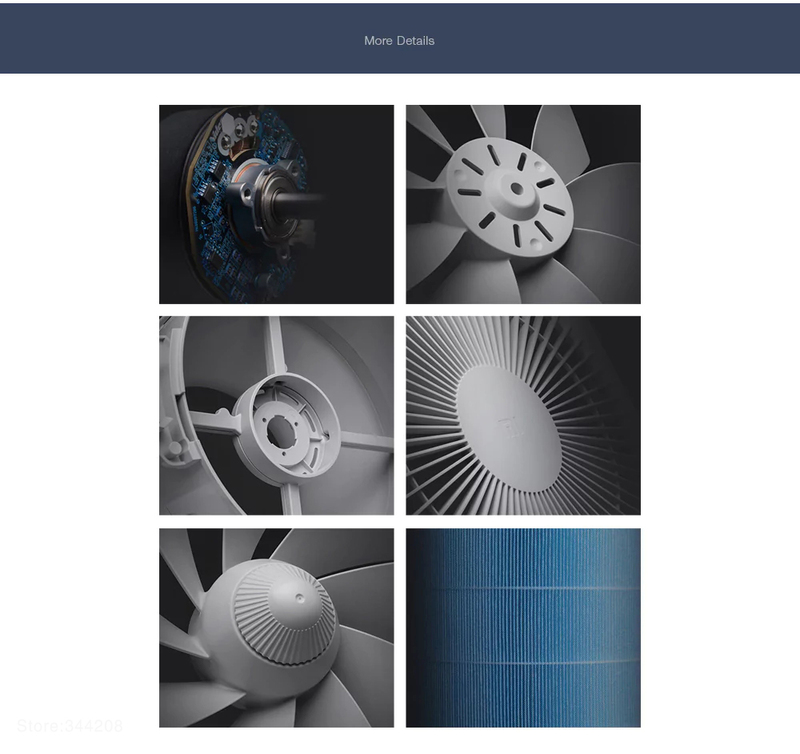 Even a fan blade just 1mm thick can have a significant impact on airflow, that’s why Mi Air Purifier has been meticulously designed to minimize air resistance and energy loss as air flows through each section.